After more than 18 years of taking the NYC subway, I still am learning lessons of patience and opportunity. 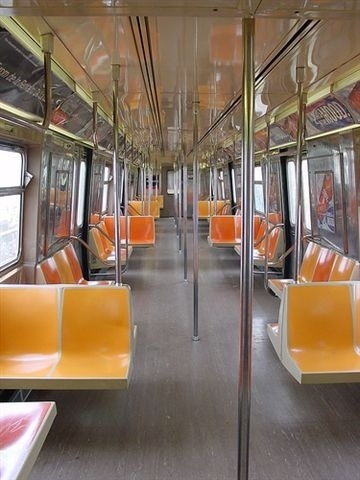 I take the subway into Manhattan daily to go to work. It’s pretty tedious and most days I drive on autopilot to park my car near the subway. I hop on an “express train”, which takes about an hour to get into lower Manhattan from the Bronx. I have become accustomed to delays due to “train traffic”, “sick passengers”, “signal malfunction”, and “police activity” (and other delays that are not announced, but am sure are for good reasons). 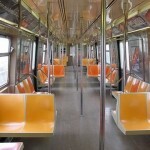 Just recently, the MTA announced that due to necessary track work, my express train is going to run local in both directions until August 2011. This translates into an additional 15-20 minutes on the train (despite the MTA saying it would mean an additional 5 minutes). For the next year and half, my train will run on the local track. I started this local commute a few weeks ago and realized I was standing a long time. By the time I got to my office, I noticed I was more tired and cranky. The first thought was to blame the MTA and their track work. Then I blamed the train for being too crowded. I was getting ready to go onto a new rant, when I stopped myself and asked what this slower ride could teach me. I realized that this slower commute was an opportunity. I had more time to read, to draft ideas, to scan a blog, to nap, and to meditate. With the train moving slower, I was able to notice the sunrises and sunsets that I normally just blinked through. Then I began to list other ways I could commute into the city. I could take the express bus or try a different train route. The NYC Subway became my teacher. It taught me that I could slow down and that I have options. How many times have I thought I must do something one way and that’s the only way it could be done? And why am I in such a rush to get into the city? Is slowing down such a bad thing? The subway ride is teaching me to slow down. I can look at other areas of my life and see I have options. And most importantly, I don’t have to always be on the express track. Are you willing to get off the express track in life and head onto the local? This entry was posted on Monday, April 19th, 2010 at 6:14 am	and is filed under Learning. You can follow any responses to this entry through the RSS 2.0 feed. You can leave a response, or trackback from your own site.